It doesn't matter how young or old you are, how busy, how tight on cash, etc. literally every single person, no matter what the circumstance can choose to believe in their own personal impact. It's as simple as that. Because guess what. You do matter. Your choices matter, your purchases matter, the way you choose to live your life, no matter what stage of life you are in, matters. History has shown us that when people choose to believe in their ability to change the world for the better, ripples quickly turn into big waves of change. I have personally been able to witness this happen on a small scale within my own community, and I am so excited by this energy that is forming for consumers to become more conscious of their personal impact, and use their power for good. But how do you get started? Let's walk through five of my favorite steps to embracing and getting EXCITED about your own personal impact this Earth Month. I promise that if you start here with these few simple steps you will quickly begin to see just how amazing it is to live with more intention. Knowing that your choices are positively impacting the world around you is EMPOWERING and with everything that is going on in the world when it comes to climate change, we need more people who are EMPOWERED because empowered people are intoxicating, and empowered people will change the world. Today there are a lot of transparency issues in our food, clothing, and many other systems. So when you begin to start on this journey to embracing your personal impact, it may be overwhelming to realize just how little information there often times is about how your food or other items actually got to you. My best advice is to seek out companies that are transparent. Companies who are actively wanting their consumers to know as much as possible about the way they do business are the businesses that are doing things RIGHT. Arbor Teas, for example, is an amazing ethical and environmentally friendly tea company that is working to improve the tea industry throughout the entire system. They are committed to fair labor rights, supporting environmentally friendly practices, and being as transparent as possible to the consumers they serve. These are the kind of companies that when you support them, you support a true change in a system that impacts many other people and communities around the world. That is a powerful thing, and one of my favorite parts of becoming a more conscious consumer. Ask Yourself Who Made This/Grew This? We are very disconnected today with where our food, clothing, and other goods are coming from. Many times we often forget that there were even people involved in the making of our clothes or the growing of our food. People that we will most likely never meet, yet are literally responsible for clothing and feeding us. One of the best ways that I find to get reconnected with the system that brings our food, clothing, and other goods into our lives is to just ask a simple question. Who made my clothes? Who grew this food? Where did it come from? Once you start asking these questions you will begin to realize that certain companies are doing an amazing job of positively supporting the people throughout the entire process of getting your food or clothes to you, while others are not. So start asking questions, and take the time to look for answers. Doing this alone will make you a more conscious, and educated consumer. It is absolutely horrifying the amount of waste that is produced from packaging alone, but it doesn't have to be this way. Many companies are working to create innovative models to reduce their overall waste by focusing on reusable, or compostable packaging. This is probably one of the things I love the most about a company like Arbor Teas, because they have chosen to sell their teas in bulk and also have found a way to create a waste-free packaging system. Their tins are reusable/recyclable, and their bulk tea packaging is compostable! Click here to learn more about their backyard compostable packaging because it truly is amazing, and they are the first and only tea company to implement this innovative waste reduction model when it comes to their packaging. More than 50% of all the worlds plastic that is produced is for single use plastic products. That means single-use straws, forks, cups, plates, etc. are making up over half of the waste that we produce every single year from plastic alone. When it comes to plastic, removing it entirely from your life is going to be quite the undertaking, and for some may not even be possible. But when it comes to single use plastic, this is one area that everyone can make a difference in. The fact that single use plastic even exists is out of our need for convenience. Once you realize that, it becomes very empowering to see how much you can reduce your single use plastic use! Start with one or two things and slowly work your way up. Begin to say NO to plastic straws, or water bottles, and suddenly you will be making a HUGE difference in reducing your overall plastic waste! Lastly, start getting familiar with labels you can trust. While there are always going to be some issues with any label, for the most part, there are certain labels that allow consumers to feel confident knowing that certain steps and standards were met in the making of a particular product. 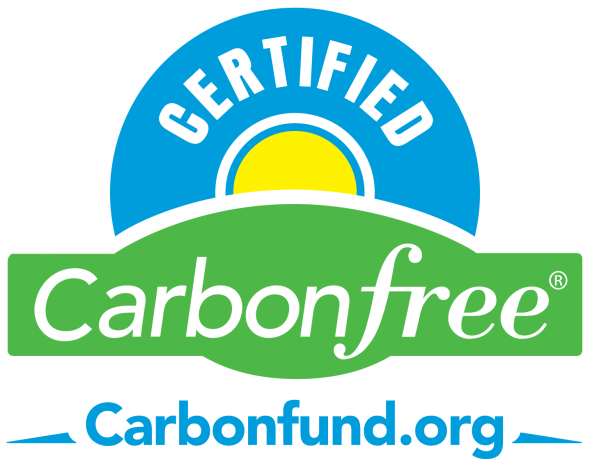 Some labels you can look out for are B-Corporation, Fair Trade, USDA Organic, and Carbon Free while these labels all cover different aspects of a sustainable, ethical business model. Arbor Teas, for instance, has chosen to focus on sourcing 100% organic tea and fair trade certified teas wherever possible. They even went a step further and also committed to reducing their carbon footprint and focusing on creating a carbon neutral business model. If it sounds hard, well it is, but it also is possible and is something that shows just how committed a company like Arbor Teas is to using their business as a source for good. Even having one of these labels shows that a company is working towards improving their impact as a company, whether that be in their impact on the environment, or how they enforce and support fair labor rights. I hope you found these steps to embracing your personal impact this earth month helpful and are inspired by ways in which you can begin to make an impact in your own day-to-day life. I would love to hear from you too, so make sure to leave a note in the comments and tell me what you are doing to support the earth and make an impact this earth month! Disclaimer: This post was sponsored by Arbor Teas, an amazing tea company made up of incredible people who are working to really change the tea industry, and positively support the health of both people and planet. Thank you for supporting the brands that help make The Well Essentials possible.